Some 400 aviation executives from through-out the Western Hemisphere attended the 2018 Airports Council International – Latin America & Caribbean (ACI-LAC) Annual Assembly and Conference that took place in Miami last week, hosted by Miami International Airport, which is celebrating its 90th anniversary this year. MIA is the busiest gateway airport of the Americas, serving 79% of all passengers between the U.S. and the LAC region, pointed out Miami-Dade Aviation Department Director and CEO Lester Sola, in his opening remarks. ACI-LAC, the only professional worldwide association of airport operators, represents 60 airport operators and over 270 airports in 32 countries of the Latin America and Caribbean region. The organization’s airports handle 95% of commercial air traffic in the area and represent over 584 million airport passengers, 5.1 tons of freight and more than 8.7 million aircraft movements each year. The Conference was kicked off by a slate of government and aviation officials, including Miami-Dade County Mayor Carlos A. Gimenez; Miami-Dade Aviation Department Director and CEO Lester Sola; ACI-LAC Director General Javier Martinez, Chairman of the Board of County Commissioners Esteban L. Bovo, Jr. along with Bongani Maseko, ACI World Chair and Martín Eurnekian, ACI-LAC President and CEO of Corp. America Airports. A very bland keynote address was presented by Federal Aviation Administration Deputy Associate Administrator Winsome Lenfert, which was followed by an engaging, data-thick overview of the global and regional aviation industry by ACI Director General Angela Gittens (more details to come). 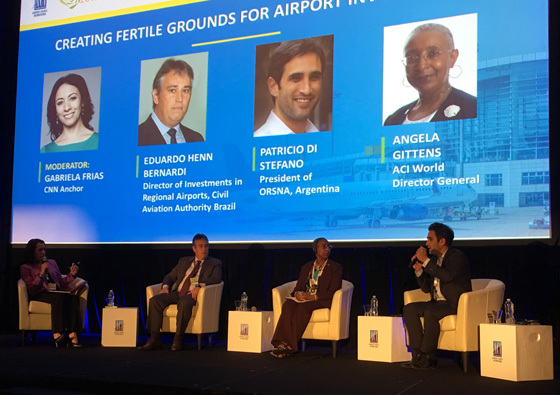 CNN Anchor Gabriela Frias moderated a panel featuring Eduardo Henn Bernardi, Director of Investments for Regional Airports in Brazil, Patricio Di Stefano, President of ORSNA, Argentina’s National Airport Authority, and Angela Gittens, ACI Director General. 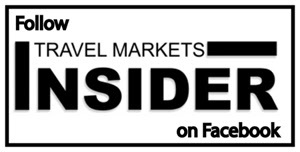 The key theme of the conference was how aviation will handle the projected doubling of passenger traffic that is forecast by 2040, in terms of airport infrastructure and capital investment, passenger experiences, leveraging technology, and air cargo. Following Angela Gittens’ presentation, Patricio Di Stefano, President of ORSNA, Argentina’s National Airport Authority, presented an excellent case study of how the government of current President Mauricio Macri has made airport development a priority. With Argentina still registering the fewest air passengers per capita in Latin America, following decades of no development, the admiration has embarked on an ambitious program to modernize 90% of Argentina’s operational airports between 2016-2019. With a goal to double the number of domes-tic passengers, attract new airlines and grow existing ones, modernize infrastructure, redesign air space and improve passenger service, the country has already completed 64 airport works, with 31 still underway. Projects include new terminals, new control towers, tracks, beacon systems, parking lots, rolling streets, and technology, among others. Di Stefano and Gittens next joined Eduardo Henn Bernardi, Director of Investments for Regional Airports in Brazil, on a panel moderated by CNN anchor Gabriela Frias for a lively discussion on airport investments.